Q: HOW WAS YOUR RACE? KR: We ran maybe the first twenty laps with no brakes as they had overheated, so every time I got close to somebody I lost braking. At the end of the race I ran out of tyre performance too so it’s been a pretty disappointing day. Q: WHAT WAS THE STRATEGY? KR: We started the race knowing that a one stop strategy could be possible if you did a longer first stint on the soft tyres. Ours wasn’t so long, but when I got stuck behind [Nico] Hulkenberg later in the race we decided to try and make it a one stop. Unfortunately It didn’t work. Q: HOW DIFFICULT WAS IT TO BATTLE WHEN YOUR TYRE PERFORMANCE WAS DROPPING AWAY? KR: I knew the tyres would drop off quite quickly, but you still try to race. Once I had lost the places I could make an extra stop without losing any more which meant I finished where I would have done anyway, so it was worth the risk. We tried to get on the podium with a one stop strategy, but in the end it didn’t work. Kimi’s answers is very professional after the emotional dispute with Lotus. Salute him. Let´s hope, Abu Dhabi will be more lucky place! Today YOU did everything You could, thanks for that! 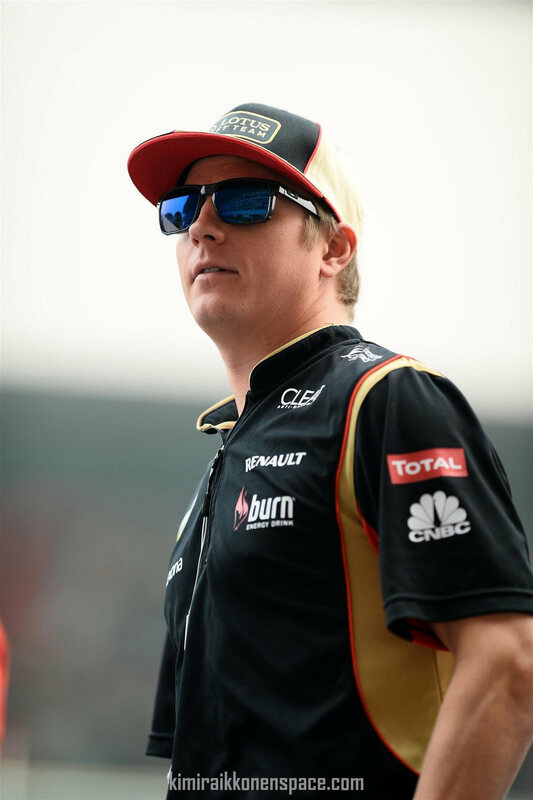 Kimi will do his best for good result but Lotus will trying to pull his leg whenever there is chance for Gro to finish ahead of Kimi. I guess, this shows the true class of Lotus, and why again and again certain things are not conceivable for them. Management of the team is just not top team material. All I want to understand is why the tyres were not changed sooner – Kimi could’ve challenged for 2nd place on the softs during the last 7-10 laps.